In March 2003, my wife and I moved to the Beverley Hills neighborhood in northwest Alexandria [map], leaving a townhome where we had lived since August ’98 in the Old Town area of Alexandria [map]. The house we moved into was built in 1939 as part of a later phase of the neighborhood, which was established a year or two prior. Most of the homes in Beverley Hills (one of the planners was named Beverley) were of rather small and basic design, with expansions being added as new owners came and old owners went over the years. Our home saw five expansions between 1939 and today (thought it’s still of only moderate square footage). Well, a few years ago one of our neighbors mentioned that she had located a 1930s brochure promoting the under-construction Beverley Hills neighborhood. Being one who is intrigued by the histories of things, I asked if I might scan the item to archive and share. The result is the PDF document you see here (click the photo to link over). The illustrations and the language within are certainly from a different time. While the street my family and I live on cannot be seen in the included aerial photo — it hadn’t been laid yet — the area shown does happen to be the part of the neighborhood we first stumbled into and found so appealing in searching Alexandria for a larger home than our Old Town dwelling. 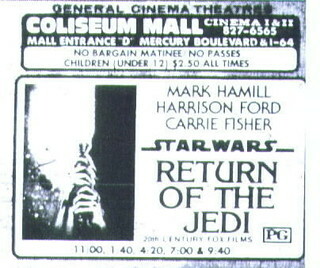 I was thrilled to find this little piece of history that hits so…close to home. Related update: Two torn newspaper comic strips from the 1930s found inside of our kitchen wall in Beverley Hills during a water repair back in 2012. I imagine these are a construction worker’s lunchtime reading, accidentally left behind and walled in. Here in Alexandria, my family and I visit the local libraries rather frequently (we have an eight year old daughter). The libraries around here are excellent — expansive and full of books, audio / video media, and computers for the public galore. 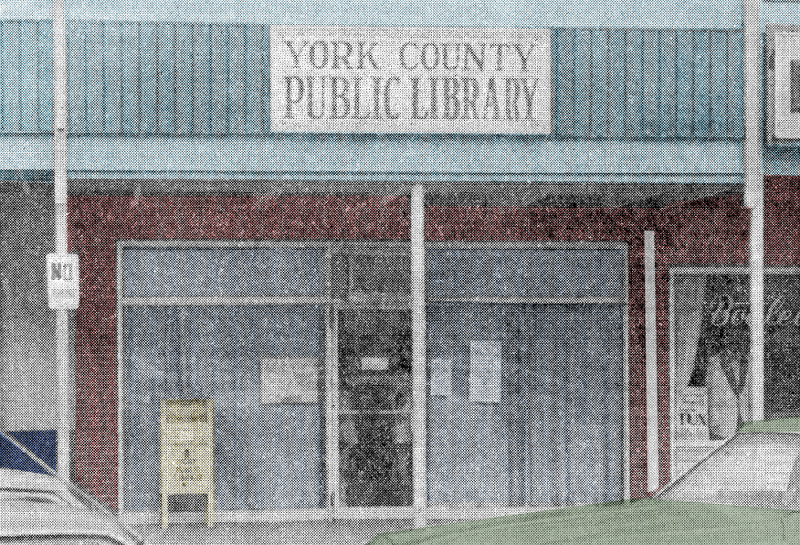 When I was a kid growing up (long ago) in York County, however, things were a little less lavish. First of all, spotting a computer anywhere in public when I was my daughter’s age (that would be 1980) was an occasion to be noted. And second, the local library was, well, a somewhat limited resource. 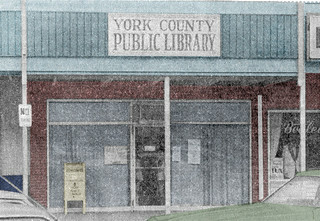 Our local library, the York County Public Library in Grafton, was small. It was so small that it resided in a (small) strip mall along George Washington Memorial Highway known as Grafton Shopping Center [map]. 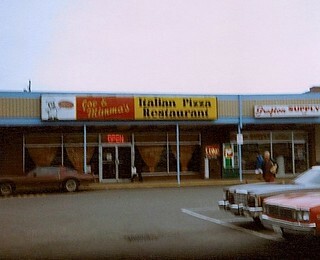 It was roughly the same size as the ABC store next to it and smaller, as I recall, than the lovely Joe & Mima’s pizzeria and the Boulevard Cleaners that flanked them both. It was truly small. From birth to present I’ve lived in Williamsburg exactly one summer and one full year. The summer I speak of was in 1986 when my mother, father, and I moved from Dandy in York County to Kingspoint in Williamsburg. The morning after the move, my parents decided to get a divorce, and so that Williamsburg stay was limited to one summer. I was disappointed (on a few counts). My second stint as a citizen of Williamsburg came after I graduated CNU and moved to an apartment there, where I lived while working for an engineering firm in Newport News. The year was 1996 — ten years later. Nowadays, most of my family’s visits are centered around the Great Wolf Lodge, which my daughter loves. But at each visit my mind wanders back — far back — to people and places that were truly special to me. 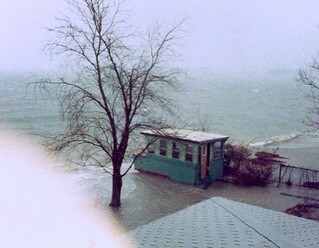 One of them is the now defunct Beethoven’s Inn which was located on Merrimac Trail in Williamsburg. 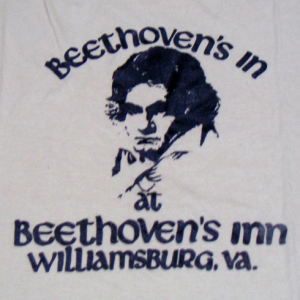 Beethoven’s Inn was a special place. It was a New York-style deli that was opened by Jim Wesson on December 16, 1975, 205 years — to the day — after Beethoven’s birth. I grew up in an area of York County known as Dandy. 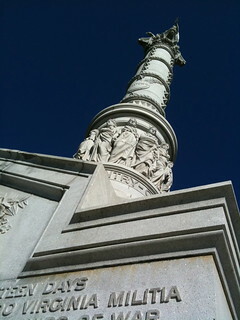 It’s located just a few miles from historic Yorktown and its Revolutionary War battlefield and historic museums. 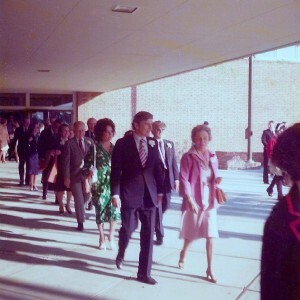 My family spent a lot of time in Yorktown when I was young, and one of my earliest memories of Yorktown proper is the April 1977 burial of a time capsule on the grounds of the Yorktown Victory Center in celebration of the American Revolution Bicentennial. The event took place on Friday, April 15th and was presided over by then-Governor Mills Godwin. 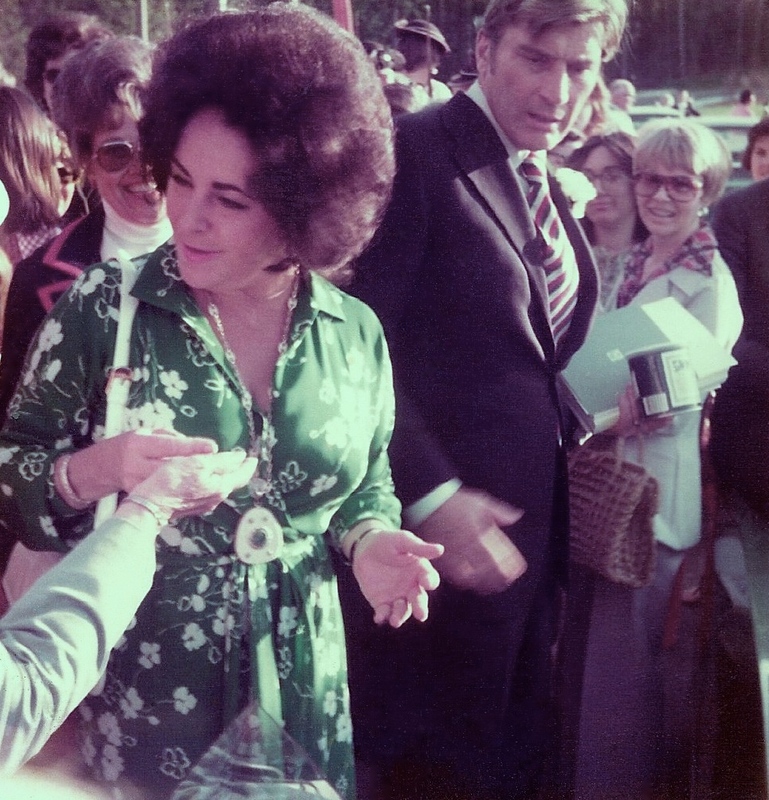 Notably in attendance were then-Senator John Warner and his wife, actress Elizabeth Taylor. During the procession, the bullet-shaped time capsule was filled with a variety of items, including a letter written by Godwin to a future governor, a Bicentennial pen worn by Warner in his travels across the country during the Bicentennial year 1976, and a red bandana donated by Taylor used in her film Giant (filmed, in-part, in Virginia). Let me welcome you to Nostalgic Virginian, a blog that I conceived several years ago and has finally been born. 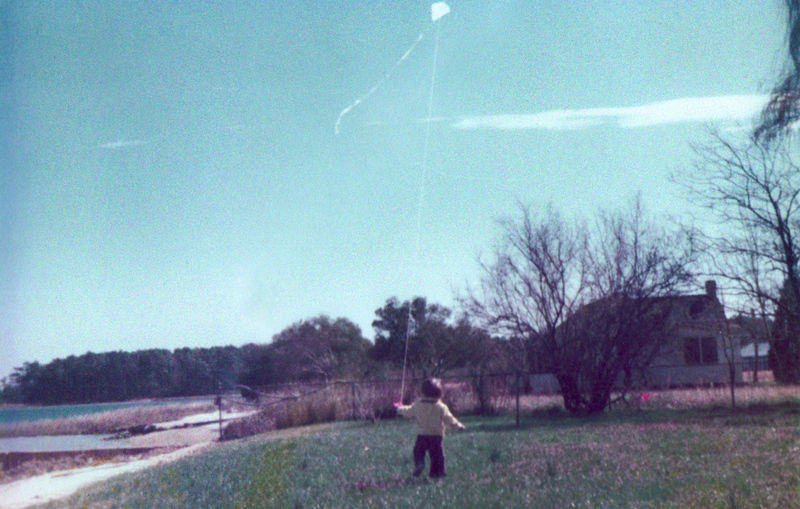 For, you see, I happen to be a nostalgic Virginian. This is a place where I look forward to openly sharing a few stand-out memories of people, places, and experiences that I formed over the years living all my life here in Virginia. It is my hope that a few geographically similar, like-minded people will find this blog and have their memories occasionally stirred by my accounts and, if so inspired, share their own thoughts and memories in the comments. That’s what this blog is all about, in a nutshell. More details can be found in my About Page, for the intrigued. This is going to be fun. Welcome and enjoy.